Chauncey Westcott comes of Massachusetts and Rhode Island ancestry, his mother having been born in the town of Cheshire, Massachusetts, September 20, 1781, and his father, Henry Westcott, in Rhode Island, October 15, 1778. Henry moved with his fathers family to Oneida county, New York, and was married to Amy Dexter Cushing in 1803. He died October 24, 1855; his wife, October, 1870. Chauncey Westcott was born in the town of Deerfield, Oneida county, New York, December 10, 1804. In the month of January following his father moved into Jefferson County. Chauncey resided in the county until January, 1831, when he removed to Onondaga county, where he remained four years, retiring to Alexandria in 1835. In 1832he was married to Miss Emeline, daughter of Isaac and Charity Everson, natives of Montgomery county, New York, who was born in the town of Manlius, Onondaga county, September 27, 1812. This marriage was blessed with two children,--one son, Wilson H., born in Cicero, Onondaga county, November 20, 1833, married Miss Jane Thompson, in January, 1844; and one daughter, Emeline F., born in Alexandria, Jefferson county, September 12, 1835, married Charles Woodsworth, in February, 1858. Both reside in the village of Alexandria Bay. Chauncey Westcott was a poor boy, and had his own way to make in the world. As a youth, he worked by the day and by the month for the farmers in the vicinity of his fathers house in Watertown. After that he attended a grist- and flouring-mill for five years; clerked in a store five years; followed boating on the Erie Canal five years; worked at lumbering by the day and job five winters; and rafted lumber from Alexandria Bay down the St. Lawrence to Quebec three springs; kept hotel five years at Alexandria Bay. He was elected justice of the peace, and served one constitutional term to the entire satisfaction of the people. Since 1855 he has farmed principally, and speculated some in furs and butter until 1872, since which time he has attended to his farm exclusively. He is a gentleman well and favorably known for honest dealings and general rectitude. An illustration of his residence can be seen on another page. Romeo W. Marshall, the father of the subject of this sketch, a native of Connecticut, was born in the year 1788. He moved to Herkimer, this State, in 1806, and after a few years removed to Trenton Falls, Oneida county, where he engaged in the mercantile trade. He settled in the present own of Alexandria in 1838, where he purchased and cleared up the farm upon which he resided till his death, in1874, at the age of eighty-six years. Thomas Benton Marshall, the youngest sone, was born in Trenton Falls on March 25, 1834. On April 5, 1855, he was married to Sarah Jane Crabb, of the town of Le Ray. The children of their union were, Tompkins, born May 4, 1860, and Welby H., born June 11, 1867. Mr. Marshall purchased the old homestead (one hundred and ninety acres) and is engaged in the quiet occupation of arming. A view of his home and he portraits of him and estimable wife are found elsewhere in this work. In religious faith he is a Universalist, and in politics Republican. Liberal, kind hearted, and generous, he is universally respected by his acquaintances, and beloved by his friends and relatives. Azariah Walton was born in Chesterfield, N. H., August 20, 1781. His family were of English extraction. But little, however, is known of its history previous to he birth of our subject. Like most of the youth of that day, his opportunities for education were extremely limited, and his knowledge was obtained from the bitter school of experience. He early evinced in decided taste for mechanics, learned the trade of a blacksmith, and became an expert machinist. To this fact is attributable his emigration to Jefferson County previous to he War of 1812. At this time Brownville was building, and he was engaged to superintend the construction of the cotton -mills at that place. He remained at Brownville until the year 1824, when he moved to Theresa, where he engaged in merchandising until 1828, when he received the appointment of collector of customs for the port of Alexandria Bay, which office he held for nineteen years. He became engaged in general merchandising and lumbering, and, being a sagacious and shrewd business man, was successful. In 1815 he purchased, in company with chesterfield Pearson, all the islands in the American channel of the St. Lawrence river from the heads of Wells island to Morristown. Many of the smaller ones he sold at a nominal sum, but the major portion he was in possession at his death, which occurred June 10, 1855. Mr. Walton was a man possessed of most of the cardinal virtues, his social qualities wre of a high order; he possessed in eminent degree, the faculty of making every one about as happy as himself, and it is still the delight of many who knew him intimately to relate anecdotes showing his proverbial good-nature. May 29, 1810 he married Miss Mary Gilson, who was born November 15, 1791, by whom he had ten children, four of whom are living. All in all, Mr. Walton was a model specimen of that race of pioneers who years ago laid the foundation for the present wealth and enterprise of Jefferson county. Henry S. White was born in the town of Antwerp, Jefferson County, May 16, 1812. His parents, like the majority of the early settlers of the county, were poor, and at an early age he was thrown upon his own resources; when sixteen years of age, he went to Pittsford, Vt., where he resided with a maternal uncle until he was twenty. He then was engaged by a merchant by the name of Addison Bush as clerk; he remained with Mr. Bush one year; and then went to Shoreham, Vt., and entered the employ of Birchard & Wright. After a short time he formed a co-partnership with an uncle and cousin, under the firm name of J. Simons & Co., they carried on business in general merchandise for about a year, when he was employed as superintendent of the glass-works at lake Densmore; this position he held until 1842, when he returned to Jefferson County, and in company with Joseph Butterfield purchased the glass-works, saw-mill, and water power at Redwood. He erected a flouring and custom mill. In 1852 the co-partnership was dissolved, Mr. Butterfield retiring; since that time he has been extensively engaged in the manufacture of lumber and flour, and in connection has carried on a general store; he has also dealt extensively in pine lands and farms. In all his business enterprises, Mr. White has been successful, and is now enjoying a well-earned competency. In 1836 he married Miss Louisa D., daughter of Mark and Ruba Haskell, of Salisbury, Vt., formerly of New Bedford, Mass. Mrs. White was born, December 10, 1810, in Salisbury, and is still living. Mr. White has been largely identified with the interests of Redwood, has helped to construct and support the churches and schools, was instrumental in the construction of the Black River and Morristown R. R., and was its secretary and treasurer, and is still a director. Abraham Cooper was the son of John Cooper, and was born at Southampton, Long Island, on the 18th day of June, 1781, where some of the family settled as early as 1640. 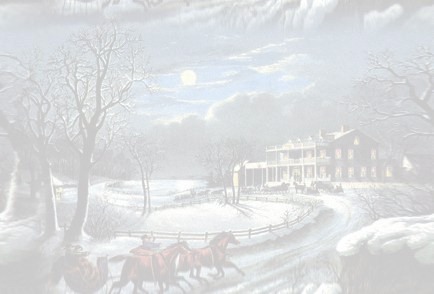 About 1795, Abraham accompanied his fathers family to Utica. He received but a limited common school education, having been obliged to leave study, and assist his father in the business of hauling goods from the boats to the stores, etc. This was severe labor for the young man, but being naturally of an industrious temperament, he succeeded finely in his new vocation. While thus engaged he went with his team a trip up to the Genesee Country, as it was called in 1796. There was but one house (a log one) in what is now the city of Auburn. On his return he stopped at Salina for a load of salt. There was an old man there with three kettles, boiling salt, which comprised the nucleus of the now celebrated "Salt Point" salt-works. It was not long before Abraham Cooper had made for himself a reputation for industry, faithfulness, and capability, which induced the offer of a place in the store of Mr. Byron Johnson, father of A. B. Johnson, for many years president of the Ontario Branch Bank of Utica. Here he won for himself a name for business ability and personal rectitude which endured throughout his business career. At the age of twenty-one, by the advice of his patron and old employer, he commenced business for himself at Trenton, New York. It was on the 214th of June, 1810, that, with the stock of goods furnished mostly by Mr. Johnson on credit, he opened his tore in that little hamlet. While thus engaged in a large and successful mercantile business in Trenton, he purchased a large farm, which he cultivated with success. In 1818 he removed to the present site of Ox Bow, in the own of Antwerp, where he opened a sore, and land-office, having previously purchased a large tract of land in that vicinity.